Refurbished printers have been repaired by our certified technicians . They are not new and unless noted, do not include a warranty. 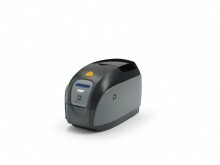 Zebra's easy-to-use ZXP Series 1 printer is perfect for the printing of single-sided, full color cards. This printer is an ideal solution for a low-volume applications in a wide range industries.